What if you could discover your hidden motivations and desires and use that knowledge to design a life with purpose? I’ve witnessed firsthand how human potential can be developed within a collaborative learning environment. I’ve also witnessed how that potential has fallen through the cracks when traditional learning fails to inspire and motivate people to move towards their highest potential. I create learning communities that foster knowledge and insight through self-discovery and then share it within the greater community. Working with mentors, individuals tap their unrealized potential to create new directions and solutions for their lives. I’ve witnessed this to be the single most direct approach to fulfilling your dreams and living with purpose. Once you discover your deepest dreams and desires, you can begin to express your own leadership, creativity, excellence, and innovation – and become a conduit for helping others do the same. People who live authentically shine like beacons and inspire others to do the same. I began my career as a high school teacher in Ohio with a passion for working with youth that has always remained with me. I left education to pursue twenty-plus years in corporate business development, marketing, and product development in construction, real estate, healthcare, software, and financial services. 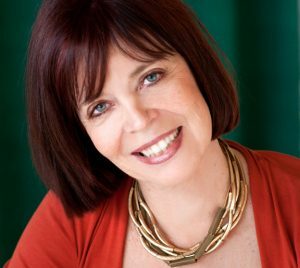 I then branched out as an entrepreneur, building businesses in PR and advertising, executive search and consulting, executive coaching, and in wellness and (learning community) educational development. 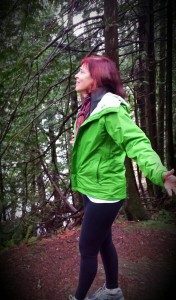 My heart and purpose lies where wellness and learning intersect. As an entrepreneur I’ve always searched out mentors and coaches to assist me with professional growth. This has allowed me to focus on what is really important and accelerate learning by working with experts in the fields in which I’ve been interested. In all my years of education, I’ve never seen a more direct and accelerated path to reaching personal and professional goals than working with mentors and coaches who are experts in their fields. As a result I’ve developed The Living the Potential Network to create self-directed learning communities for educators, entrepreneurs, and youth. One passion project I’ve worked on was with an innovative learning community where the learners (ages 9-11), developed an energy conservation software program that offered kids a pathway to become the energy managers in their households. These youth were paid $75,000 up front by a major utility to design the program, and it was distributed throughout the province to every seventh and eighth grade science class. 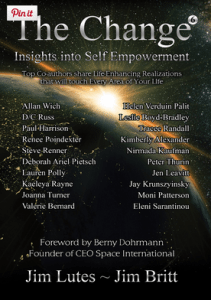 Recently, I was invited to co-author Change 6: Insights into Self Empowerment. The book is an incredible collection of writings written by personal development experts Jim Lutes and Jim Britt and nineteen other exceptional personal and business development experts around the world.